Lots of space for our family of 6! Host easy to work with & accommodated our changing arrival times. Also provided a crib when requested. Spacious rooms, very clean and well organized. Locked bike store, bile cleanong space and facilities. Great location, next to cable car station. Well equipped, comfortable place. Convenient parking place. Highly recommended. Sosa was an excellent host very friendly, flexible and helpful! The apartment was amazing, very clean, fully equipped and greatly located. We’ll definitely come back! One word ... perfect!! Great location, very friendly and flexible host (supported by Milan ;-)) ... eveything was in the appartment ... even things one would not expect (washing detergent, soap, toiletpaper (not common in the appartments I rented sofor ;-)) ... clean ... many reasons to come back ..
For 3 adults and 2 children was it perfect place, gondola and childrens playground 200m and also the good restaurant and different snack bars, sports facilities Wide beds, parking in the courtyard. I definitely recommend`! Amazing facilities - washing machine, shampoos and shower gel, washing machine powder, cooking oils, herbs/spices, tea/coffee etc. Great location - a 1-minute walk from the Gondola at the bike park! Very clean and comfortable apartment. Absolutely brilliant! The host was excellent, the apartment clean and peaceful, with own garden and fresh vegetables there! The Pohorje trekking routes and beautiful nature just behind the door. Also a nice restaurant in neighbourhood! Clean and spacious. Also easy to go to old town by bus. Lock in a great price for Apartment Gondola – rated 9.8 by recent guests! Apartment Gondola This rating is a reflection of how the property compares to the industry standard when it comes to price, facilities and services available. It's based on a self-evaluation by the property. Use this rating to help choose your stay! One of our best sellers in Maribor! 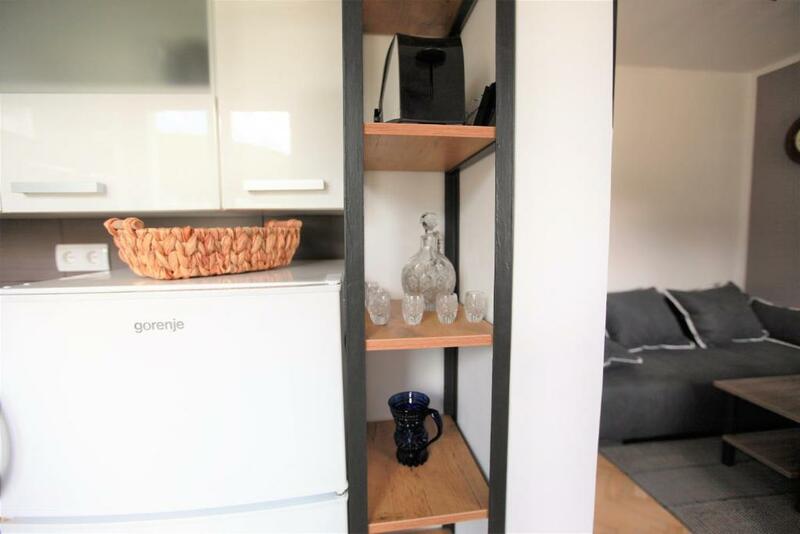 Set in Maribor, this apartment features free WiFi. The property is 350 feet from Maribor Thermal Spa and free private parking is offered. There is a seating area and a kitchen complete with an oven and a toaster. A flat-screen TV is featured. The property also offers ski and bike storage. Shopping center Europark Maribor is 2.8 mi from Apartment Gondola, while Hippodrome Kamnica is 3.1 mi from the property. A selection of activities are offered in the area, such as skiing and cycling. 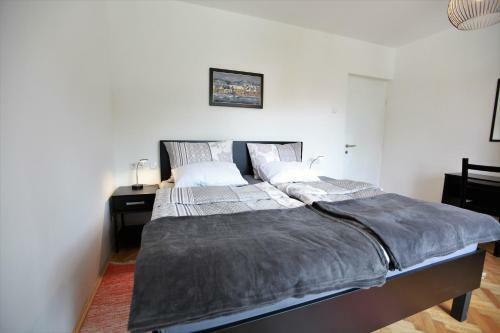 This property also has one of the top-rated locations in Maribor! Guests are happier about it compared to other properties in the area. 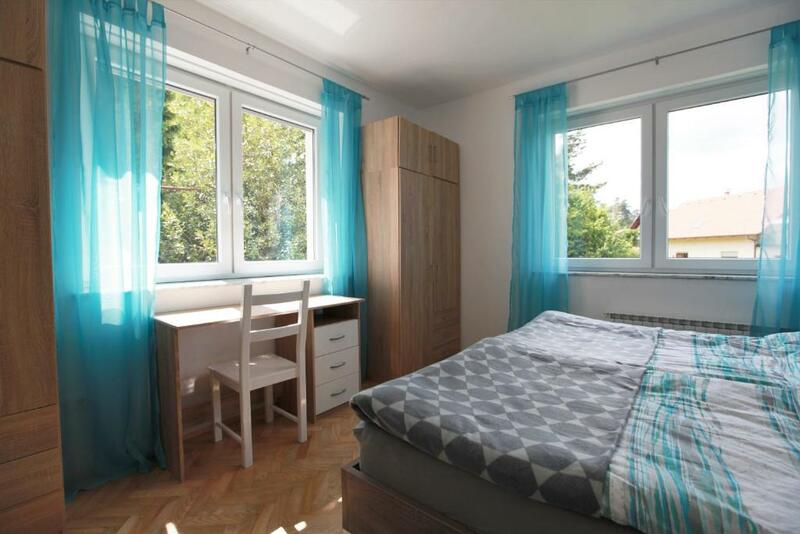 This property is also rated for the best value in Maribor! Guests are getting more for their money when compared to other properties in this city. When would you like to stay at Apartment Gondola? 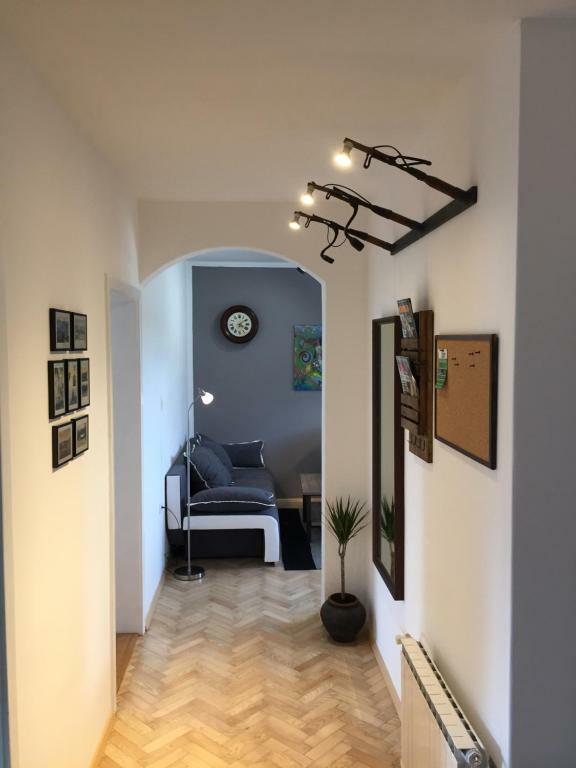 The apartment is meant for 4 persons, with comfortable and spacious 2 bedrooms and 4 beds, small living space and a kitchen on a 60m2 all together. An additional 5th guest can be accommodated in living room, on spare bed (couch/sofa bed). Apartment is completely renewed in antique – modern style, with almost all the furniture handmade or new end other fully restored. 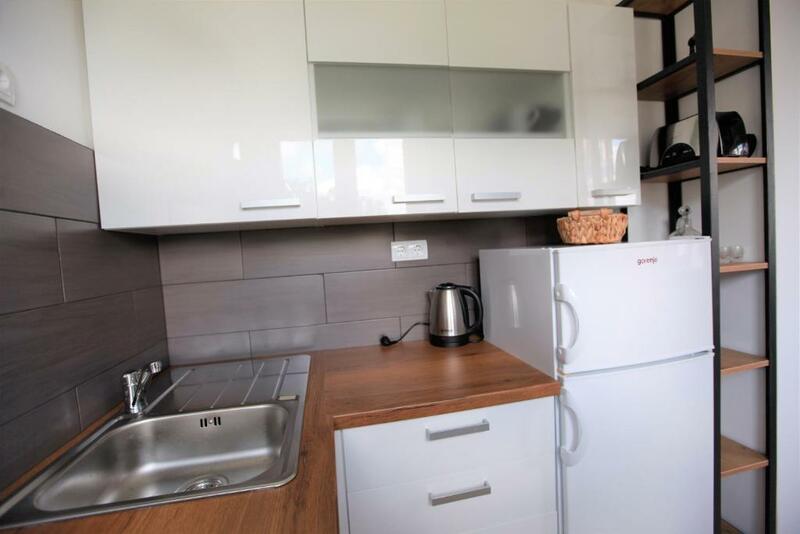 In apartment you'll find everything you need in fully equipped kitchen with a fridge, water heater, toaster, Moka espesso, spices, oven and everything else you need to prepare breakfast and other meals. Wi-fi, TV, washing machine, hair dryer and other things for cosy stay included. Clean linen and towels for each guest are provided. There is a green space around the house, with small coffee table to enjoy the fresh air and sun. We also provide you a space for storing your bikes or other bigger equipment. Bike repair stand, which you can use for cleaning or maintain your bike is there as well. I'm mechanical engeneering student and a passionate sport person. I love being in nature, where I spent almost all of my free time. I'm also a member of Slovenian national triathlon team. There's a big public parking space behind the house, which is free of charge. We have also one private car parking space in front of the house which you can use. Around 200m from the house there's a bus station. City bus, line number 6 is passing there, which drives you to/from city centre. From there you can proceed to train station or main bus station. There are a taxi services nearby as well. House Rules Apartment Gondola takes special requests – add in the next step! The heating was a little bit slow (you had to wait for the warm for 1-2 hours). Fully equipped, clean and tidy apartment, great location, 3 min walk from a really nice restaurant and the ski resport. Definitely coming back some time.